From the very first book in Tony Hillerman's Navaho series featuring Lt. Joe Leaphorn and Sgt. Jim Chee, The Blessing Way, I was hooked. Each and every story in the series is a gem. When his daughter wrote her own book to add some sparkle to the series, it seemed appropriate to focus on a female perspective. 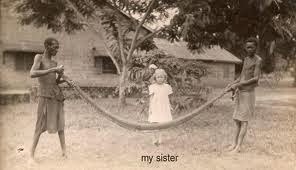 This made me consider all sorts of daughters, and I might be writing about a few of them over the next few weeks. Monday morning at the Navajo Inn has been a favorite meeting place for the Navajo police, going back to when Joe Leaphorn was just a young detective and making his reputation as someone with a sharp mind. These meetings had become brainstorming sessions for unsolved cases, which segued into routine matters of budget and staffing. Joe was talking about a woman who hadn’t shown up for a meeting, when Captain Howard Largo called the meeting to order. Despite the fact that Leaphorn was retired from the police force and working as a PI, he was welcome to stay. Largo also incorporated a young officer on a rotating basis each week, and this week it was Officer Bernadette "Bernie" Manuelito. 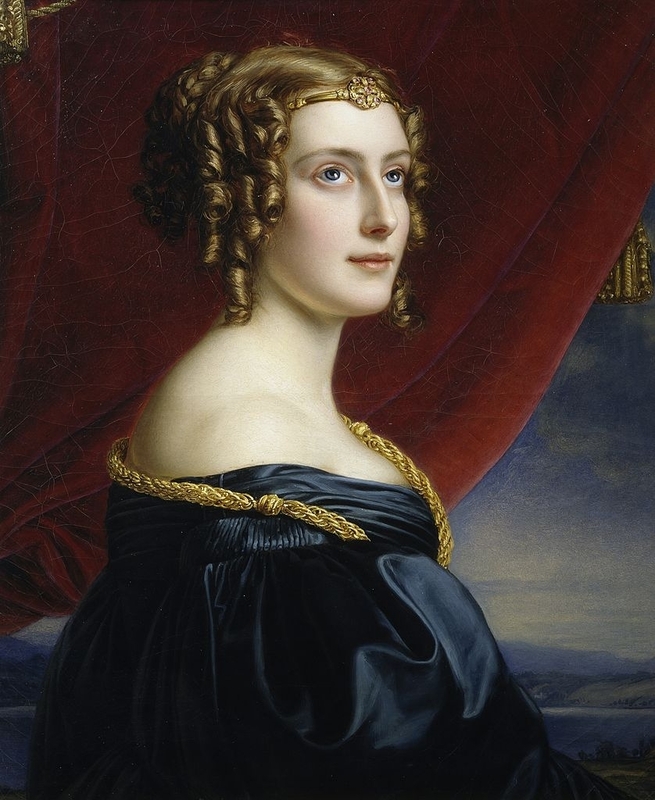 She had been on the force for several years and had been married to Jim Chee for two of these. She was honored to drive the hour it took to get to Santa Fe. After the meeting, Bernie is looking out the window while making a call from her cellphone when she sees a slight person wearing a hoodie approach Leaphorn and appear to shoot him in the head. She is powerless to stop the attack. The shooter then jumps in a pickup and drives off. After Bernie gives the only eyewitness statement, she is told to stay out of the way of the investigation. When the dust settles, Bernie’s job is to contact Joe’s family and friends. Naturally, the first place to look is at Joe’s present cases and perhaps at old grudges. 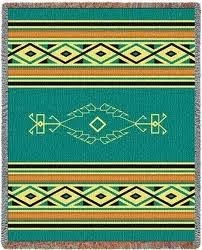 Revenge is not a Navajo attribute, but many Navajo have changed, so the field is wide open. 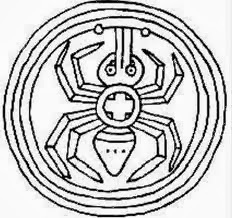 In the Navajo mythology, Spider Woman is the Holy Person who taught the Navajo to weave and gave the Hero Twins the weapons they needed to find their father, the Sun, and to rid the world of monsters. In this world, sometimes there are very messy situations with many threads, and those women who straighten everything out may be called Spider Woman’s Daughter. That is the role Bernie Manuelito plays in this mystery. 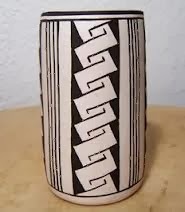 She is the kind of person who notices details that others miss: a silver bracelet with hearts on it, doodles with triangles that have deeper meaning, misplaced pottery that others overlook, patterns and reflections. I don’t think that Manuelito will replace Leaphorn and Chee, but she is a great addition. The same goes for Anne Hillerman. 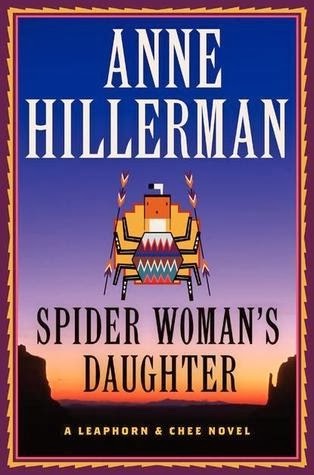 Her dad Tony Hillerman’s books are there for us to reread any time, but now we have the pleasure of reading hers. Fortunately, the apple doesn’t fall far from the tree. 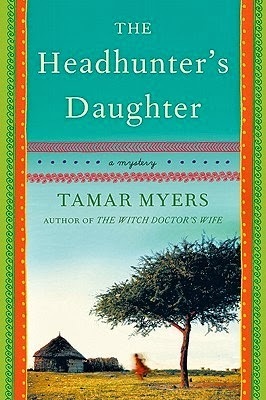 The Headhunter’s Daughter (2011, Morrow), by Tamar Myers, tells the tale of another kind of daughter. This one lived between two worlds. 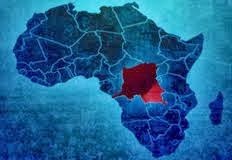 The gravel pits that were the residua of deep excavations along the great Kasai and Tshikapa rivers left by the Europeans digging for diamonds in the Congo were known to be haunted by a Belgian woman who had drowned in them. One day in the years after World War II, a boy of the Bashilele tribe came here to fulfill a ritual that would allow him to become a man. He had to take a human life and, along with it, the head of the person he killed. The skull would be used as his mug, with which to drink his palm wine for the rest of his life. Despite this, his people were not cannibals and they looked down on those river tribes who were. What the boy found at the river looked like a beast eating a child, since he had never seen a perambulator before. When he heard the sound of a truck coming––another unfamiliar sound––he grabbed the unusual-looking child and ran for miles back to his hidden village, taking the child to his mother and dying, clutching his chest, before he can explain anything. About 13 years later, rumors come to the ears of the Belgian authorities of a white girl living with a tribe of headhunters deep in the jungle. Captain Pierre Jardin of the local Belgian police has asked two women to accompany him to the interior. One is a local newly-arrived American missionary from South Carolina, Amanda Brown, whose native name is Ugly Eyes, and a woman who works for her, known as Cripple. In this part of the world, names always mean something. As a matter of fact, the local people think that names with no meaning are foolish. The once-little baby is now going through puberty, and is the daughter of the Chief Headhunter. She too is known as Ugly Eyes because of the odd color of here eyes, but she, like all the other women, has been made attractive by having been scarified on her face and back and having had her front teeth removed. No one knows how these customs got started, but it is well ingrained despite the fact that they all bemoan their loss when it comes time to eat. The Chief Headhunter thinks it might be a good thing for his daughter to spend time with the people known as the Breakers of Rocks, because they are everywhere and are now in power, but the Headhunter continues to be amazed how such a primitive and ignorant people had managed to subjugate his own. What happens to both of the Ugly Eyes will have you on the edge of your seat. Cripple, whose early life was chronicled in The Witch Doctor’s Wife (2009, Avon), is always the voice of reason. 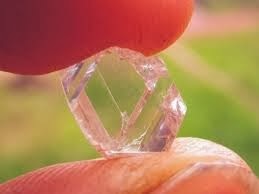 One of her take-home lessons is: "Life is very simple if you don’t think it too much. Act first from the stomach, and then see what the head has to say." This is an engrossing story of many layers. There is, at first, the mystery of the kidnapping of a baby ensconced in what at first seems to be a satire on cultural differences and overt and covert racism. 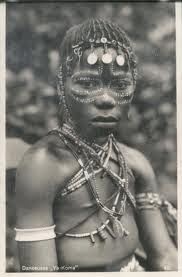 But then one is intrigued to find out that Tamar Myers grew up in the Belgian Congo and was raised alongside a tribe of headhunters, the Bashilele. Much of what she describes of the life of the different tribes, including the Belgians and the missionaries, is true to life. Myers adds a postscript to the story, as she tells the tale of her ancestor, Joseph Hochstetler, who was captured by the Delaware Indians during the French and Indian War. Surviving records tell the story that he was ritually scrubbed in the river by the women and told that he was now part of their tribe, flesh of their flesh, bone of their bone and that his white blood had been washed away. He was 10 years old at the time. When he was released nine years later, he did not want to leave his new family and he visited them often. One is not just the color of one's skin; one is the color of one's heart. There is also an old movie, The Light in the Forest, with this theme. In 1764, when a peace treaty between the Delawares and the British requires that all captives be returned to their families, Johnny Butler (a very young James MacArthur of Hawaii Five-O's "Book 'em, Danno!" 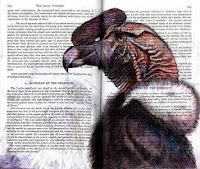 fame) is forced to return, but the injustice he sees sends him back to the wilds. And you can see Fess Parker in this film as well. I thinks it's only available on VHS. 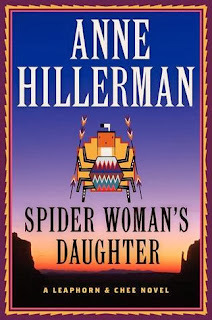 I wondered about the new book by Tony Hillerman's daughter so I'm glad you liked it, MC. The Leaphorn/Chee series is fantastic. Are these African books by Tamar Myers anything like her Mennonite series? Those are a little too jokey for me. These books have a very subtle humor but they are not jokey in any way. I felt that Myers showed a very different approach in the telling of these stories and the mystery takes a back seat to the personalities which are quite rich and different.